Thank you to KurtG for renewing his WWKC Membership again for 2019! Thank you for your continued support! Thank you KurtG for your continued support! Please help me welcome our newest annual WWKC Hobbyist Member, LoriP! Thank you for your support! I'm excited to announce our newest WWKC Annual Pro Member AwkaKoi! Thank you so much for support! You'll be able to find him soon at his Marketplace! 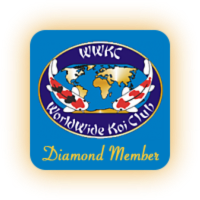 Please help me thank pnsych, hp, and Jim Smith who all have renewed their WWKC Hobbyist Membership for 2018-2019! Thank you to beanbone who renewed his WWKC Membership for 2019! Thank you for your continued support! A big thank you to pacificnw who renewed his WWKC Membership today for the 2019 season! so much for your continued support! Please help me thank Karen Pattist for renewing her WWKC Membership for 2019! Thank you Karen for your continued support! Thank you so much everyone for your support! So COOL to see Renewing Members, New Members and New Vendors. I hope to see you on the forums soon. Please help me thanks john s for renewing his WWKC Pro Membership for 2019! Thanks for your continued support! Please help me give a big combined thank you to malatu, catfish whiskers, and ademink who all renewed their WWKC Membership for 2019! I must have somehow selected “auto pay “ so that I didn’t have to remember . Thank you everyone for your continued support! Please help me thank delbert for renewing his WWKC Membership for 2019! Thanks for your continued support! Thank you delbert for your support of Koiphen. their Marketplace for more information! Thank you to StevenE for renewing his WWKC Membership for 2019! Thanks for your continued support! Thank you StevenE for your continued support! Please help me welcome our newest WWKC Annual Pro Member, shaymehan! Thanks Shay for your support!